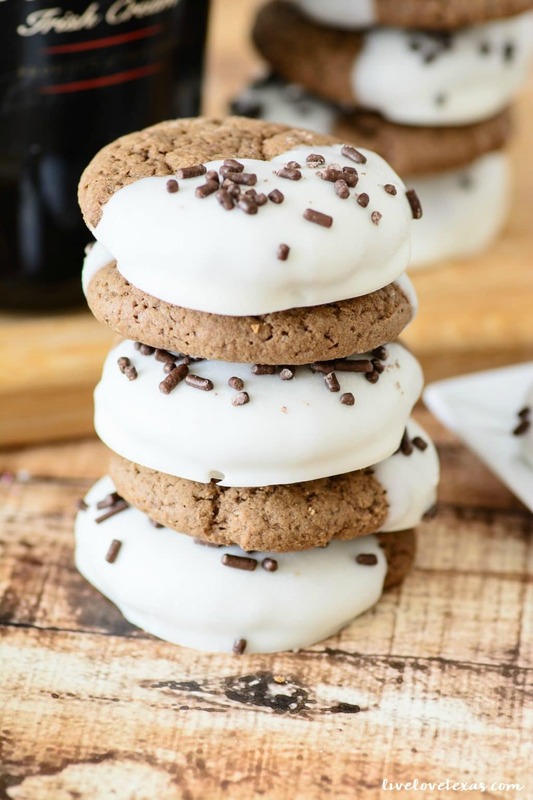 This Bailey’s Irish Cream Cookie recipe combines one of your favorite Irish liqueurs with a recipe for delicious, soft cookies. Dipped part way in frosting, these cookies are truly mouthwatering. Who doesn’t love a warm sugar cookie as a comforting and blissful alleviation to their sweet tooth? 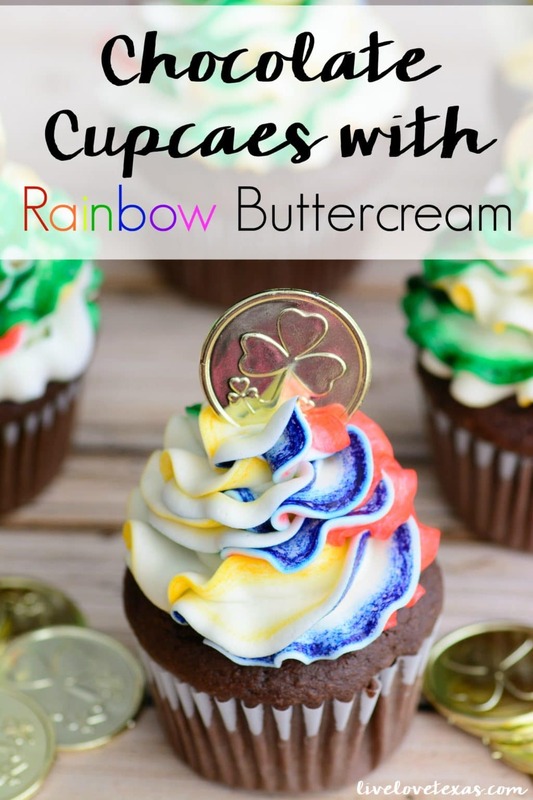 Add on a thorough dipping in white chocolate, a dash of sprinkles, and Bailey’s Irish Cream in the batter and I’m sold! 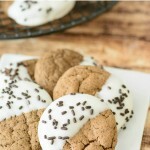 What could be more perfect for a St. Patrick’s Day dessert than a Bailey’s Irish Cream Cookie recipe?! 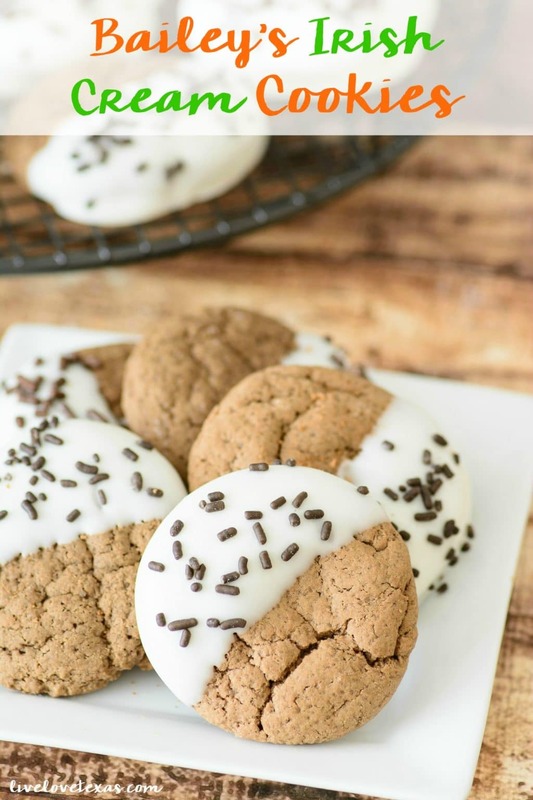 Even post-kids, baking in the flavor of Bailey’s Irish Cream lends that rich and creamy coffee flavor while still making it perfectly ok for the the littles. The rich creaminess is evident in every bite with the creamy sweetness of chocolate making this the ideal marriage of creamy and sweet without being overpowering. 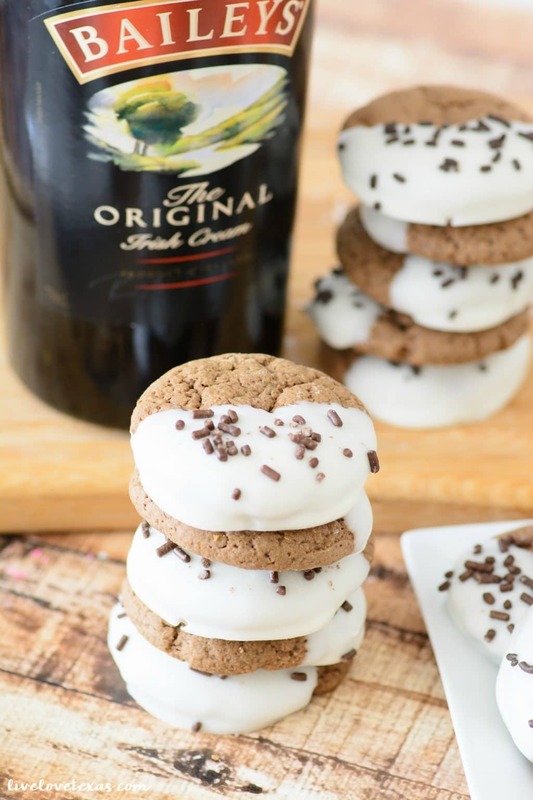 What better way to mix together your favorite liqueur with your favorite dipped cookie recipe than with this soft and chewy, Bailey’s Irish Cream Cookie recipe! Cream together butter and sugar together until light and fluffy. Mix in the Baileys, the egg and vanilla. Beat until well combined. While cookies are cooling melt white chocolate chips in a small bowl in the microwave. Warm in 30 second increments at 50% power to avoid burning the chocolate. Dip cookies, one at a time into the chocolate. Place on parchment paper and decorate with sprinkles (optional). Let stand for 20 minutes for chocolate to harden fully on cooling rack. Can be stored in an airtight container or storage bag for up to 7 days. 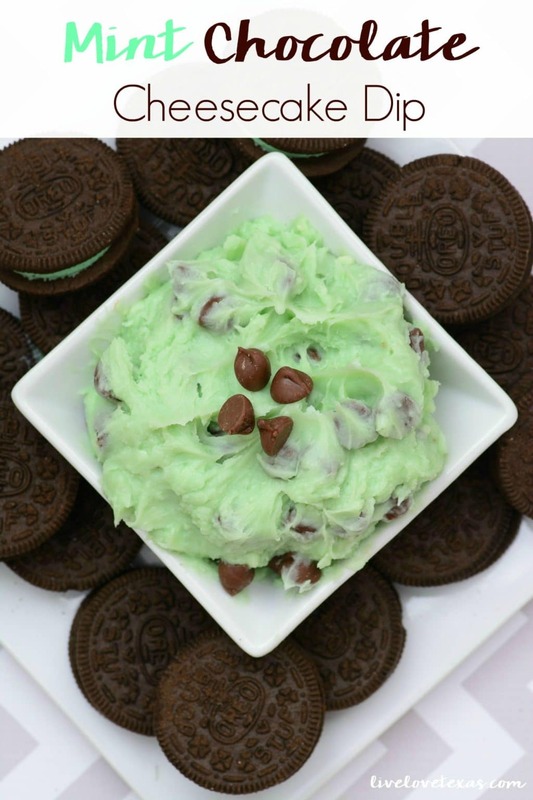 What’s your favorite St. Patrick’s Day cookie recipe? 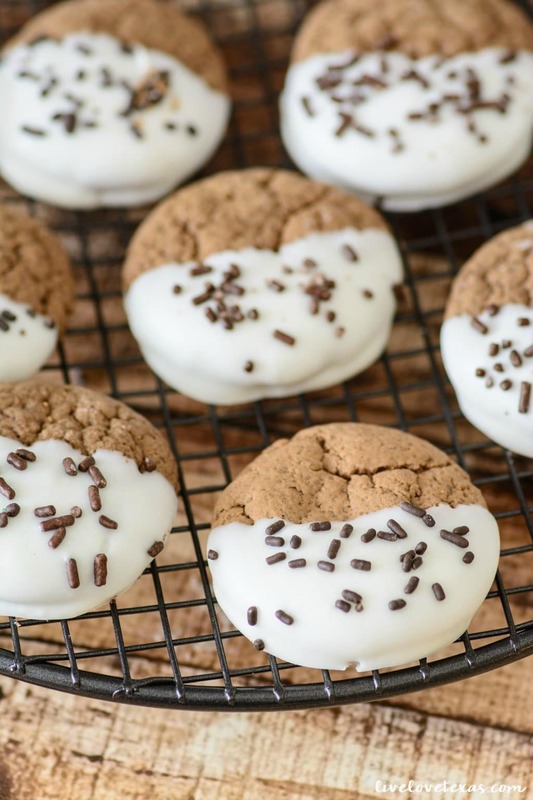 Have you tried your hand at making Bailey’s Irish Cream Cookies? 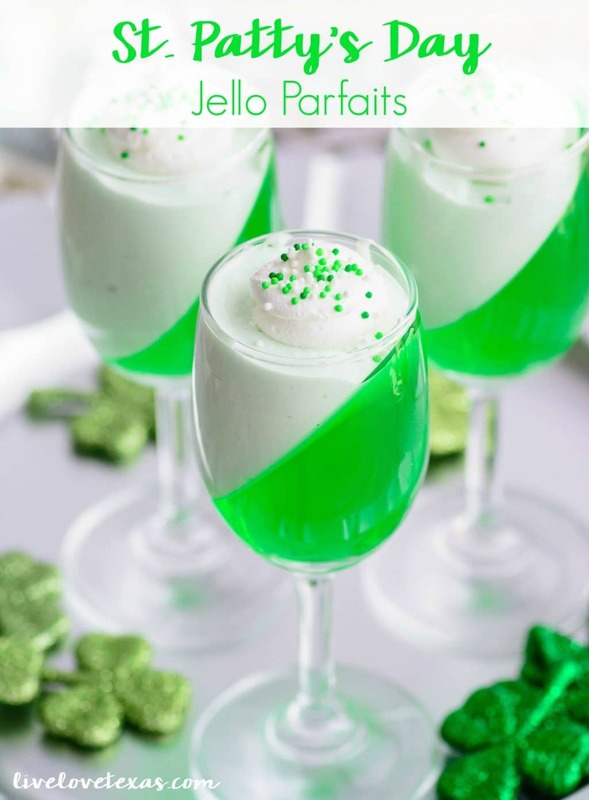 If you’re looking for more St. Patrick’s Day themed desserts, makes sure to check out these other recipes! I’m a huge fan of Baileys Irish Cream, but it’s been years since I’ve had any. These cookies look delicious, perfect to go with my coffee. Thanks for sharing at Merry Monday!